An industrial town in Swabia might seem an unusual holiday destination, but Heidenheim an der Brenz combines the facilities of a modern town with a charming old centre, a remarkable castle and historic destinations, along with a renowned music festival. Find out more here. The first thing you notice is the castle on its rock, the Schlossberg, which looms 70 meters above the town. There are countless ways up to the Schlossberg from the town to help you explore. 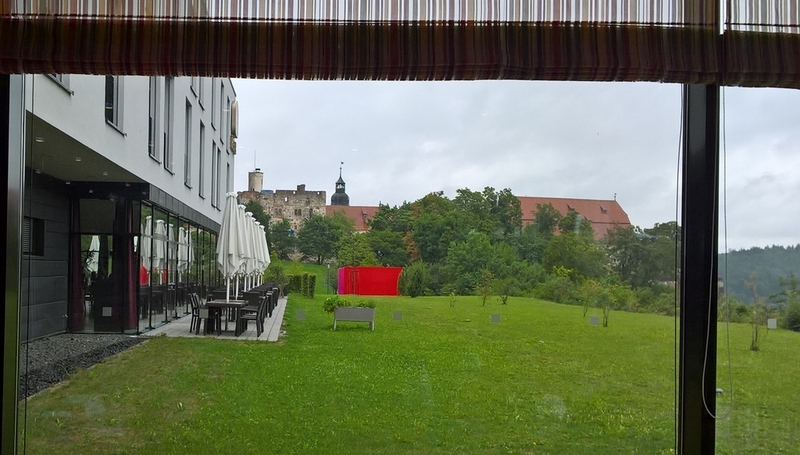 The Schlossberg is home not only to the castle, but to a good modern hotel and congress centre, as well as the Eichert Wildlife Park (Wildpark Eichert), a bird of prey sanctuary and a modern sports arena, all surrounded by green space in which to walk and relax. Hellenstein Castle, towering above Heidenheim, is a landmark visible from miles around. The castle was originally built in the medieval period, and has had a somewhat chequered history but the striking location makes it well worth a visit. The location combine the ruined Knights Hall with fine 16th century buildings which now house local museums, including the Museum for Carriages, Chaises and Carts. Nestling below the Schlossberg is the old town, it still follows the medieval street pattern with houses tight up to the rock. The buildings are a characterful mixture of restored medieval timber frames, historic 19th century (including the striking Schloss-Apotheke), Art Nouveau and modern. Hintere Gasse, a tiny street crammed between the high street and the cliff, is most charming and has some delightful cafes. The medieval town walls are still visible in places, folded into the more modern town environment, and a short distance away the Museum im Römerbad (Roman Baths Museum) allows you to explore the street-scape of Aquileia, the Roman settlement which lies three metres below current street level. The town’s Art Museum is now housed in a striking Art Nouveau building which was formerly the town baths. The former baths are now an exhibition hall, and elsewhere the collection includes fine Picasso engravings and the world’s largest collection of Picasso posters. Thanks to the town’s Sculpture Symposium, which ran from 1997 to 2013, the townscape has a number of striking contemporary artworks and the Tourist Information Office can provide a tour. 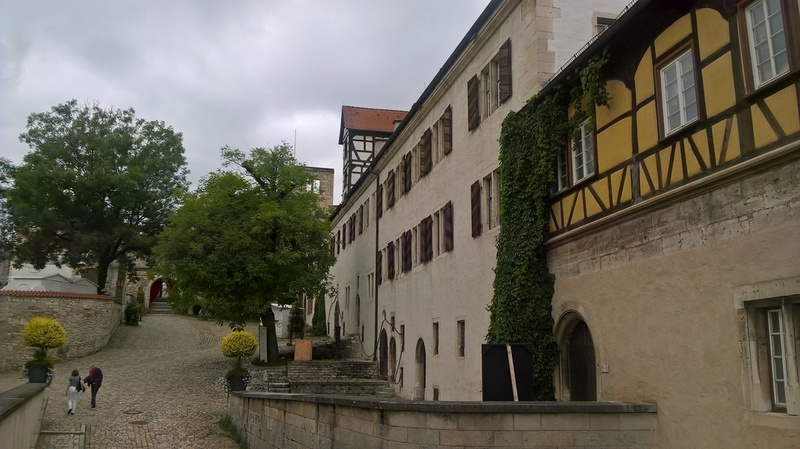 Worth a detour is the Monastery of Neresheim, some 10 kilometres from Heidenheim. This is still a functioning Benedictine monastery and to see the museum you need to book a guided tour, but the church is open during the day and worth a visit. Built in the 18th century to designs by Balthasar Neumann (best known for his work in the Würzburg Residenz), the Rococo interior includes ceiling frescoes which are the largest single continuous fresco in the world. There is also a remarkably preserved Baroque organ by Johann Nepomuk Holzey. The River Brenz runs through Heidenheim, providing a focus for the verdant area, the Brenz Park which is now a green oasis in the town. The river was an important water source for industry (in the 19th century Heidenheim was known as the Manchester of Swabia). There is still industry in the town, but it doesn’t dominate and exists comfortably side by side with the more historic elements. 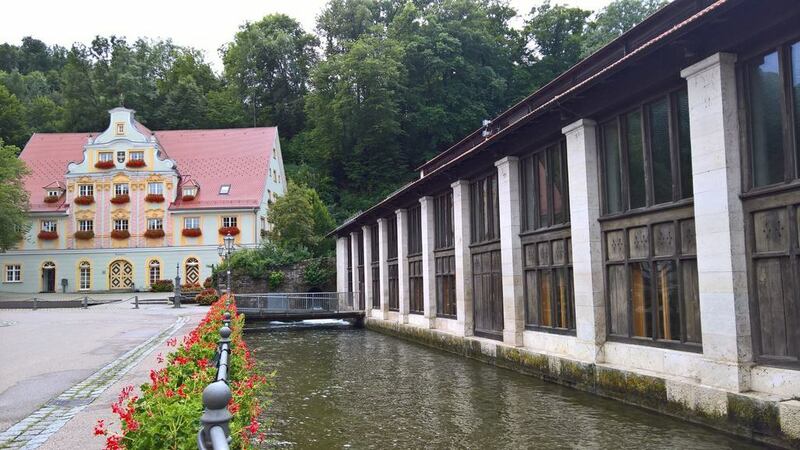 The source of the Brenz is at nearby Königsbronn, worth a visit for the fine Baroque Rathaus (town hall) as well as the restored hammer mill, not to mention the delightful café Ver-Edelt (opening hours are limited so check). Heidenheim is at the centre of a fine array of cycle routes and the route along the River Brenz enables you to cycle all the way to the Black Sea via the river Danube. The Heidenheim Tourist Office has leaflets detailing the wide variety of themed cycle tours, and both Neresheim and Königsbronn are accessible by bike. A feature of Heidenheim in the summer is the opera festival which presents a range of activities including opera, concerts and children’s theatre in June and July. Opera is presented both indoors (in the Congress Centre Theatre) and outdoors (in the atmospheric surroundings of the Knights Hall in the castle). Currently the festival features the early operas of Verdi with Nabucco and I Lombardi in 2018.